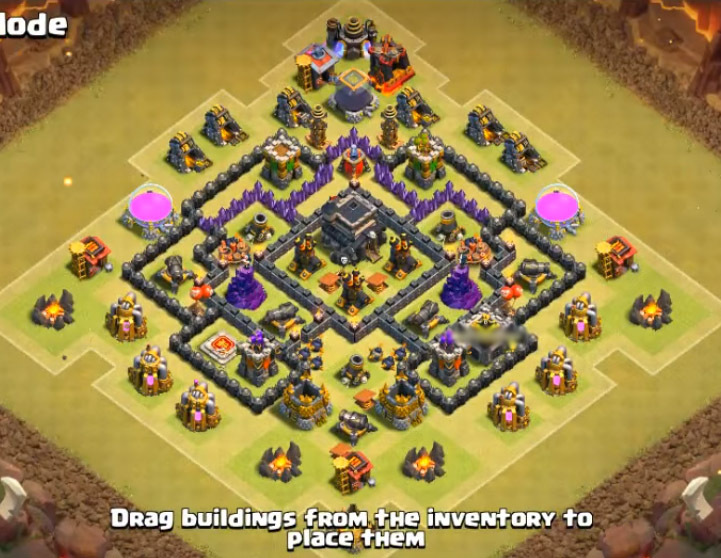 In this post we are going to have a look a best th7 war base Anti dragon, hogs 2019 new update with 3 air defenses. 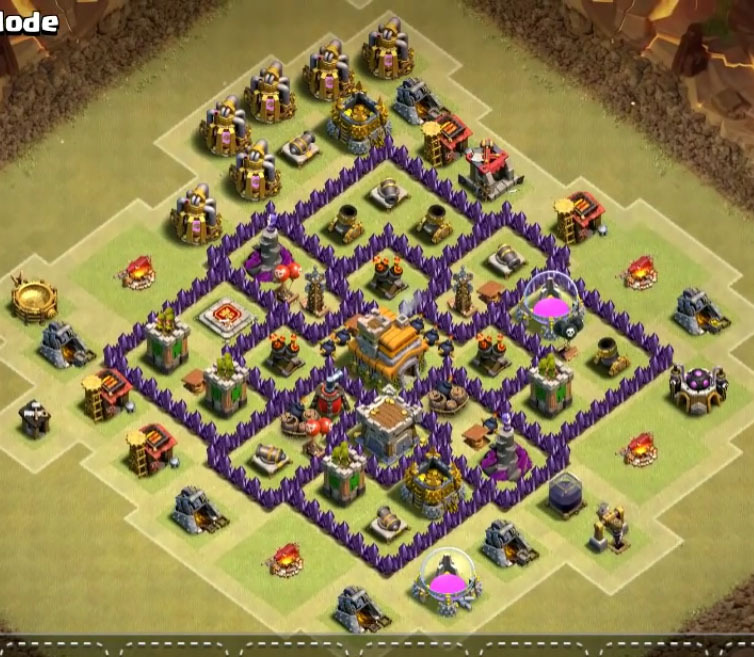 Let us know in the comments section, what you feel about this layouts. 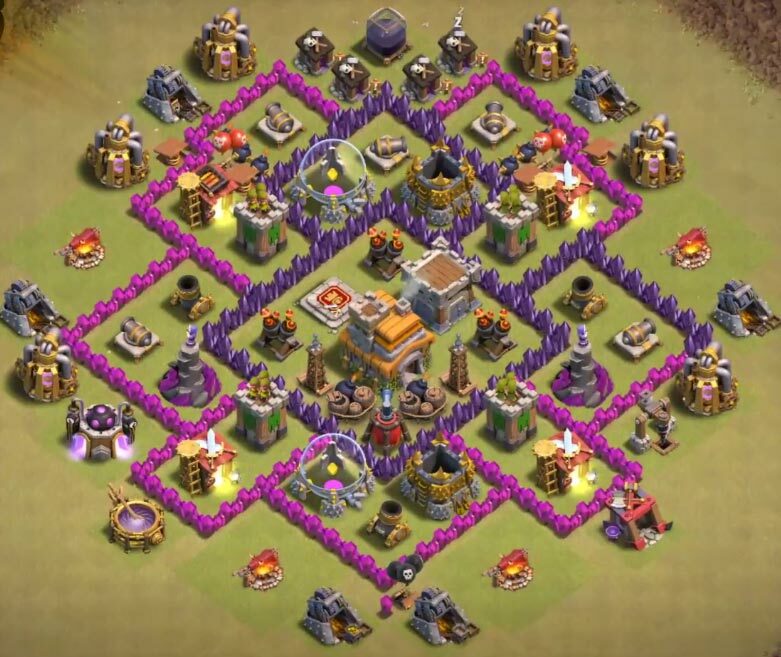 Keep checking this website for more tips, tricks and layouts of the clash of clans. Without any delay, let’s have a look at 5 layouts below. 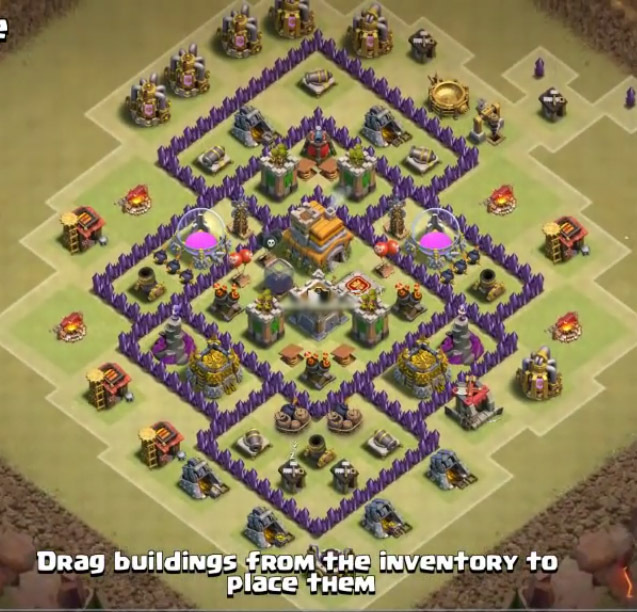 clever use of bombs and spring traps. 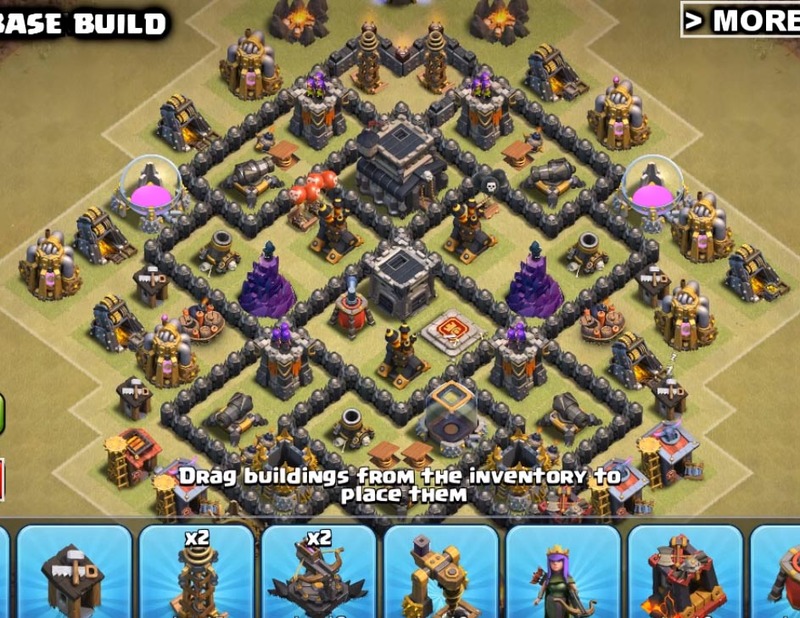 It will be hard to use dragon attacks against these design because air defenses are not close to each other to take out using rage spell and once the troops are deployed, the concentration of the troops are diverted to other unnecessary buildings so in that meantime air defenses does their job very well. 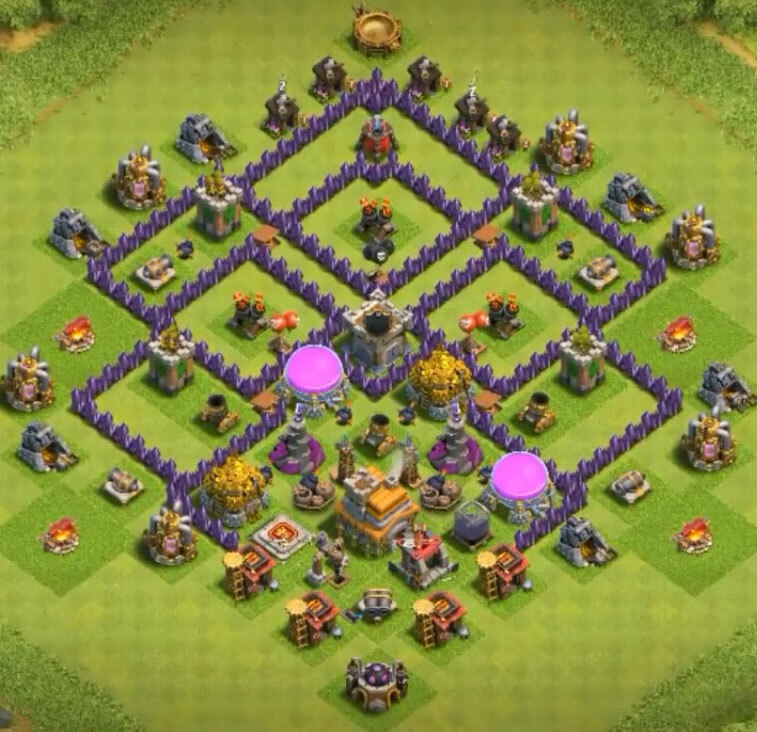 It’s so simple double giant spots are a big no for hog rider attacks.so we have created like around two double giant spots by making use of bombs and left two empty space indicating that there are double giant spots.by there is only one. Giant attacks might be tricky. here we used spring taps as a major option along with the defense itself. 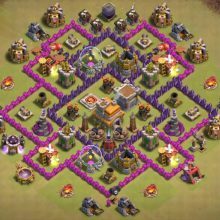 so overall this is one of the best th7 layout base anti-dragon with the new update of 3 air defenses along with the air sweeper. 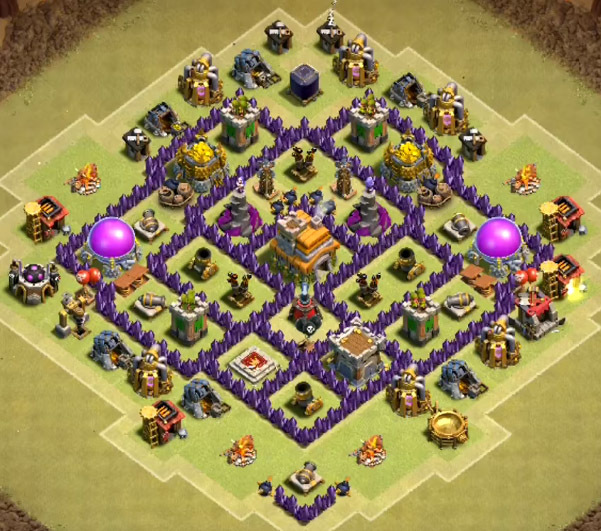 The two most critical things you have to concentrate on at Town Hall 7 are the Barbarian King and Dragon. 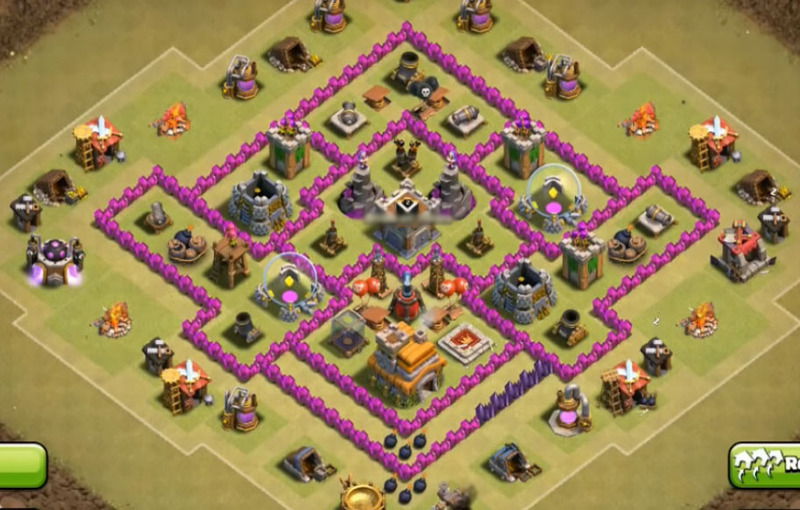 It’s relatively easy to get 3 stars at level 7 th, If you can plan accordingly and deploy the strategy. 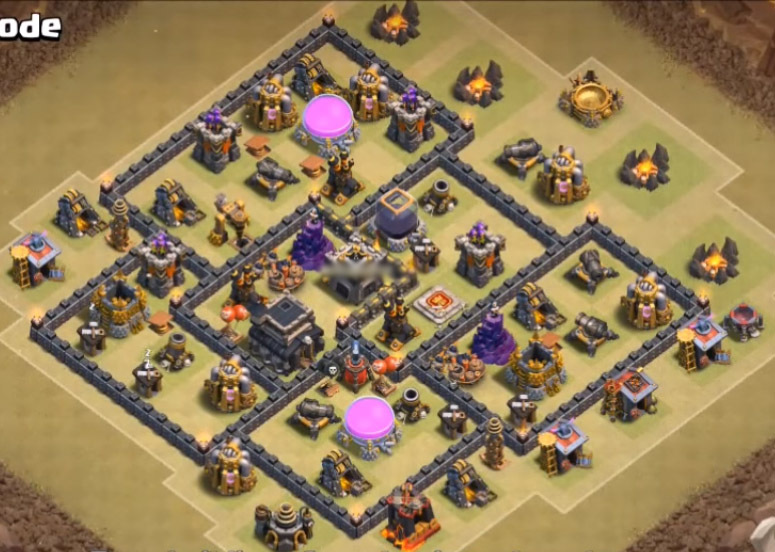 In the wake of having the level 1 Barbarian King, you will perceive how magnificent he is and it will be an extraordinary inspiration for you to continue attacking in clan wars. 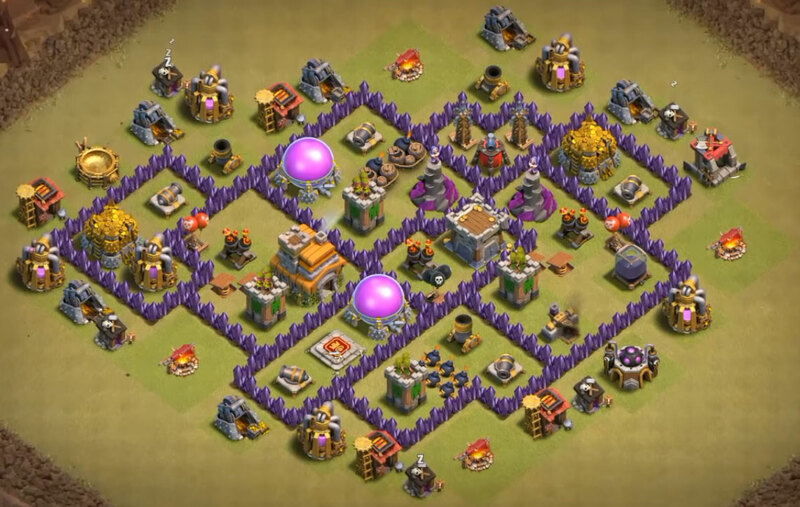 4 builder’s hut, Elixir Storage’s, Research Laboratory, Elixir Collectors, Dark Barrack, Army Camps, Clan Castle, Spell Factor, Dark Elixir Storage, Gold Storage’s, Barracks, Gold Mines, Dark Elixir Drill. 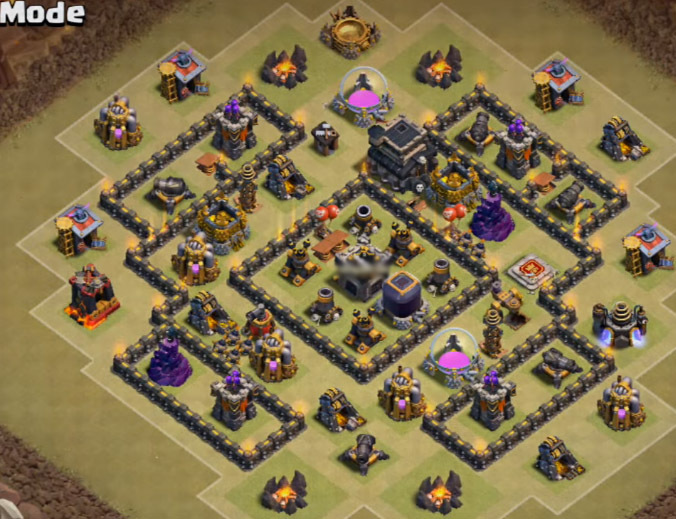 Cannons, Archer Towers, Air Sweeper, Bombs, Spring Traps, Giant Bombs, Air Bombs, Mortars, Seeking Air Mine, Hidden Tesla’s, Air Defenses, Walls, Wizard Towers. Ant thanks for the comment. 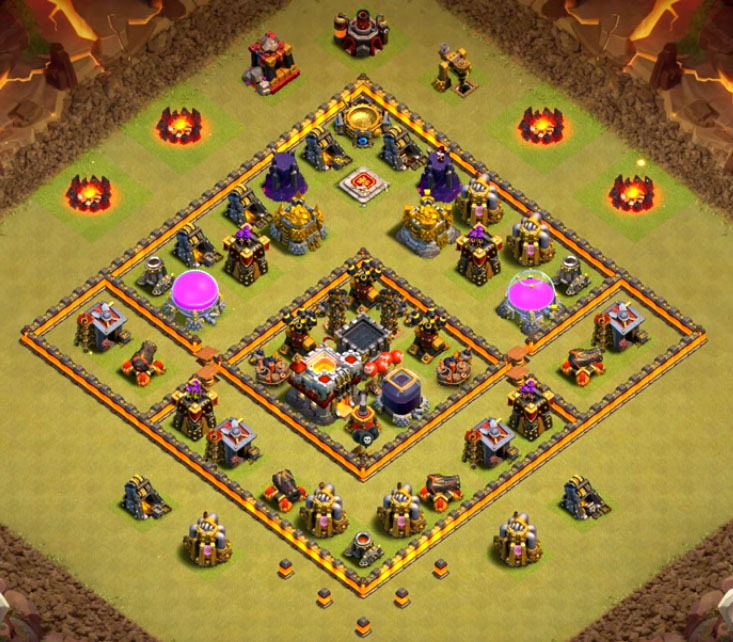 I’m in the process of updating anti dragon town hall 7 bases, I have made some already. just wait for a bit and enjoy the bases. 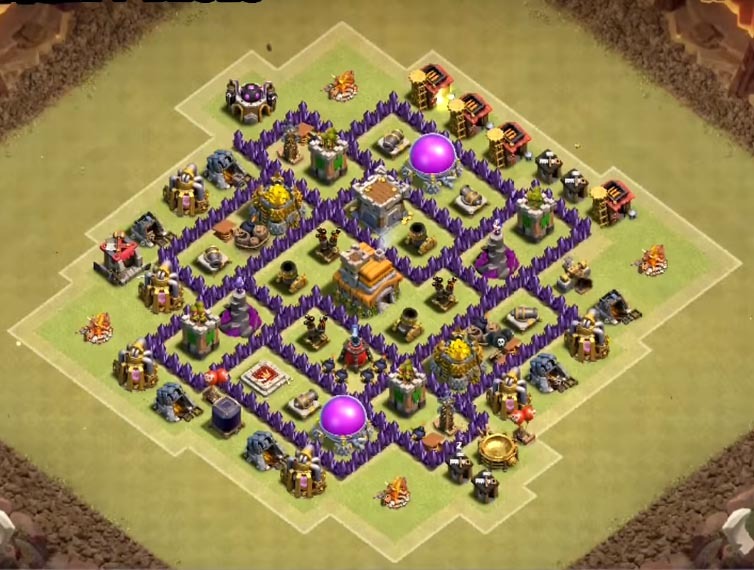 between check out town hall 7 war bases . In the 4th base, There are only 3 spring traps instead of 4. Thnx dude…it was really helpful….